I saw Ring debut on “Shark Tank” – Boy! They really missed this one! Fox Business Channel reports that Amazon will pay one BILLION for the company! 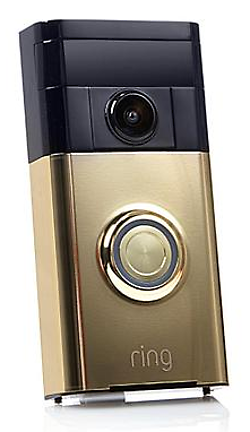 TechCrunch – By: Greg Kumparak – “With Nest’s first smart video doorbell right around the corner, Amazon is busy buying up the competition. DirCaster Version 0.9k – Swapped out getID3() library by James Heinrich to latest version (as of February 26, 2018) to fix metatag parsing errors. 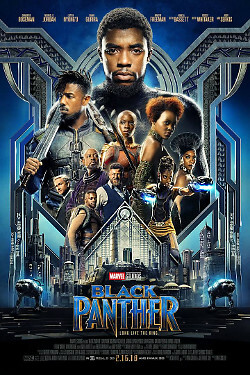 The Black Panther movie was awesome! Here is my non-spoiler-ly review. First, you HAVE to see this movie! Second, this movie does more to advance the African-American heritage than any movie has in a LONG time! The good guy in this movie is a GOOD guy! He is thoughtful, strong, honorable, wise… he thinks deeply, he cares deeply. He honors his father, even when he discovers his father is only human and not perfect. He honors tradition… and he is… dare I say it… truly patriotic! He shows that patriotism can be a strength, not a weakness, or a flaw. The movie unflinchingly shows negative historical events… mistakes of the past, both of people, of cultures, and of countries, WITHOUT leaving it that those mistakes, issues, and problems are insurmountable. You can rise above them, you CAN win over your baser nature! African culture is shown in a POSITIVE, strong light, but other races are not diminished to do so, rather, the movie shows that ANY culture can rise and overcome, if strong core values are maintained. “Wakanda,” in the movie, as a nation, is the most technically advanced nation on the planet, but for all their superior engineering, riches, and culture, they end up HELPING the world… not “rubbing the nose” of the world’s other nations in it! They don’t have to scream “we are awesome!” They simply ARE awesome! The very last scene demonstrates this… I won’t give it away. But a gentle smile says it all! Go see this movie… and celebrate African heritage with our brethren of African origin. This is how art can influence culture positively! The Verge – By: Jacob Kastrenakes – “Google Assistant is getting some important language upgrades this year. 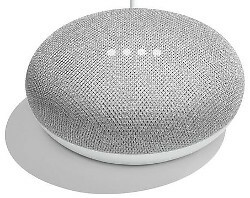 By the end of 2018, Google says it’ll be able to understand and speak 30 languages, enough to cover 95 percent of Android users. And sometime later this year, the Assistant won’t be limited to speaking one language at a time. It’ll automatically detect your language each time you speak and respond in kind. So if you’re multilingual, you’ll no longer have to pick only a single language to use with the Assistant. Expanding to 30 languages also helps the Assistant catch up to the one area it really lagged behind Siri. Apple’s voice assistant currently supports 20 languages, several of which are in a number of different dialects (there are nine for English, for example). Siri also works in Cantonese and Mandarin, major languages Google has yet to add. This actually makes me want to get in on the Stock Market! I am a big Dropbox fan! TechCrunch – By: Katie Roof – “It’s official, the Dropbox IPO filing is here. Going public is a huge milestone for Dropbox and has been one of the most anticipated tech IPOs for several years now. The cloud storage company has been around since 2007 and has raised more than $600 million in funding. We knew that it had already filed confidentially, but the company has now unveiled its filing, meaning the actual IPO is likely very soon, probably late March. The company says it will be targeting a $500 million fundraise, but this number is usually just a placeholder. The filing shows that Dropbox had $1.1 billion in revenue last year. This compares to $845 million in revenue the year before and $604 million for 2015. Dropbox has been cash flow positive since 2016. Dropbox, which has a freemium model, says it has 11 million paying users, just a small fraction of the more than 500 million registered users who use its cloud services for free. The big question is whether the company will achieve the $10 billion valuation it raised in the private markets. Part of its success will be measured relative to Box, which went public in 2015 and will be considered a comparable. The prospectus warns of the competitive landscape. Box CEO Aaron Levie chatted with us on our ‘Equity’ podcast, sharing his immediate reaction to competitor Dropbox’s filing. With the filing we see that the largest shareholder is Sequoia Capital, which owned 23.2 percent of the overall shares outstanding. This is a large stake. Accel owned 5 percent overall. Others vying to go public soon will keep an eye on the performance of Dropbox. Investors place weight on the ‘IPO window,’ and view recent debuts as a test for appetite for tech listings. Geek Website of the Week: Font Squirrel Matcherator! Have you ever needed to indentify a font that you have in an image? Maybe to re-create the image? I did! And, here is what I found… The Font Squirrel Matcherator! The Font Squirrel site has lot’s of FREE fonts as well, check them out! 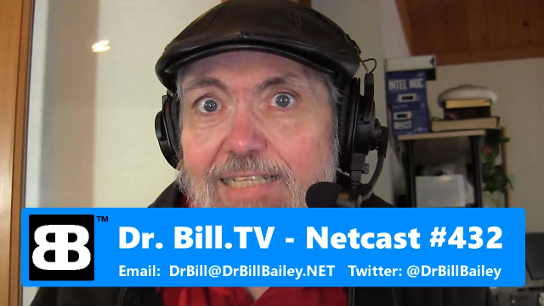 I mentioned this back in June of 2014 on the show (Dr. Bill.TV Netcast #342) … but now it is about to be released. I want one! TechCrunch – By: Jake Bright – “Harley Davidson will launch its first production e-motorcycle in 2019. Yes, the iconic symbol of American steel and piston popping internal combustion is shifting to voltage. ‘We announced we’ll invest more aggressively in…electric technology in premium motorcycles,’ Harley Davidson CEO Matt Levatich said on the company’s recent earnings call. The Milwaukee based company didn’t provide much more detail on its e-motorcycle plans. CFO John Olin added HD ‘expects to spend an incremental $25 million to $50 million per year’ on EV infrastructure. 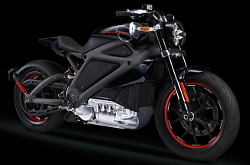 A spokesperson wouldn’t confirm specs on Harley’s first production e-motorycle to TechCrunch. But per the CEO’s comments, it will likely be an extension of HD’s LiveWire concept bike. The 460 pound battery powered machine debuted in 2014. It has 74 horsepower, a 93 mph top speed, 50 mile ride time, and automatic drivetrain (i.e., no clutch or shifting),. HD’s battery-bike news comes as the American motorcycle market struggles to attract younger buyers and lags behind the auto-industry in EV development. Overall U.S. sales have dropped by roughly 50 percent since 2008, with a sharp decline in ownership by those in their 40s and under 30. The majority of the market is now aging baby-boomers, whose ‘Live to Ride’ days are winding down. The one bright spot in American motorcycle demographics is increased female ownership. But by most straw polls women prefer lighter motorcycles with smaller engines—pretty much the opposite of Harley Davidson’s design template of the last half-century. For years the company’s best sellers have come from its voluptuous cruising and touring lines, including the 798 pound, 1340cc Road King. Unsurprisingly, prevailing trends have brought financial pains to many big motorcycle makers, including Harley Davidson. Along with HD’s EV news, the latest earnings call announced a Kansas City plant closure and 8 percent U.S. sales drop. As for the overall U.S. motorcycle market, shrinking sales and shifting consumer preferences offer manufacturers a tricky equation. The industry is attempting to serve very different buyer groups: an aging segment that prefers yesteryears’ big engine cruisers and then women and millennials—who aren’t yet enthusiastic about buying bikes, but appear privy to lighter motorcycles and EVs. Companies have mixed things up to cope with the shifting U.S. landscape. On design, Honda, Yamaha, Suzuki, and Kawasaki now offer more smaller engine, lower weight models. Harley Davidson launched its Street series of leaner bikes, including the 492 pound Street 500. Companies are also launching learn to ride programs and lifestyle brands—such as Harley’s Riding Academy and Ducati’s Scrambler series—to bring in new buyers and create fresh social groupings around motorcycles. On the tech side, two-wheel manufacturers have mostly stagnated around EV concepts. None of the big names—Honda, Kawasaki, Suzuki, BMW, KTM—offer a production electric street motorcycle in the U.S. Meanwhile, some e-motorcycle startups have emerged. Italy’s Energica announced a 2018 U.S. sales campaign. California also has Alta Motors and Zero Motorcycles—whose Zero SR has 75 horsepower, a 135 mile range, and $10K price. EVs from these new ventures are closing the gap on gas bikes in price, performance, weight, recharge times, and ride distance. So how could this all come together to pivot the mainline motorcycle industry toward electric? A combination of competitive pressure from these upstarts and the number 1 American motorcycle seller, Harley Davidson, debuting an e-bike. Intel and AMD Face Lawsuits! Uh oh! The chickens are coming home to roost, so to speak! ZDNet – By: Liam Tung – “Intel rival AMD is also facing a number of class-action lawsuits over how it’s responded to the Meltdown and Spectre CPU flaws. 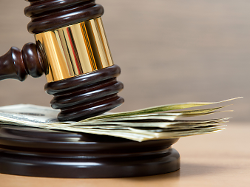 As The Register reports, four class-action complaints have been filed against the chip maker seeking damages on behalf of customers and investors. The suits follow a warning from AMD in late January that warned investors that it is ‘also subject to claims related to the recently disclosed side-channel exploits, such as Spectre and Meltdown, and may face claims or litigation for future vulnerabilities’. Intel revealed last week that it now faced 32 class-action lawsuits over its handling of the Meltdown and Spectre issues and three additional lawsuits over alleged insider trading. AMD chips aren’t affected by the Meltdown attack but, like Arm and Intel, its processors have the same design flaws in its use of speculative execution that enable the Spectre attacks. Three of the four cases represent customers who’d bought AMD processors. The complaints note that AMD continued to market its processors as high-performance chips despite knowing that this level of performance was unattainable without exposing users to the Spectre attack, and that mitigations would slow down performance. ‘Plaintiff and members of the Class would not have purchased or leased — or would have paid substantially less for — AMD processors (or devices containing AMD processors) had they known of the Spectre defect and the reduction in processing performance associated with efforts necessary to mitigate the substantial security risks presented by the Spectre defect,’ reads one complaint. The shareholder complaint seeks damages on behalf of anyone who bought AMD shares in the year leading to January 11, 2018, the date AMD admitted its processors were vulnerable to both variants of the Spectre attacks and its share price fell by 0.99 percent. Following the first media reports of the flaws AMD suggested it wasn’t vulnerable at all. Another of the customer complaints calls out AMD’s marketing for the high-performance Rizen Threadripper 1950X and 1920 processors which were launched in July and August 2017. AMD said they delivered ‘uncompromising performance’. Google’s Project Zero researcher Jan Horn is said to have told AMD about the flaws in early June 2017. ‘Despite its knowledge of the Spectre Defect, AMD continued to sell its processors to unknowing customers at prices much higher than what customers would have paid had they known about the Spectre Defect and its threat to critical security features as well as on the processing speeds of the devices they purchased,’ the complaint reads.